As a Las Vegas moving company, we visit a lot of homes. One thing we’ve learned is everyone takes pride in making their home a place they want to be. Holidays are a great time to make the most of whatever space you call home, big or small, and turn it into a cozy holiday hideaway for you, your family, friends and even your pets. There’s nothing quite like relaxing with a cup of coffee or hot chocolate in a home that is cozily decorated for the holidays. Just a few holiday touches are all you need to create a festive atmosphere that makesyou and your guests feel at home. Even if you’ve just moved in, you can use these easy ideas to quickly transform your home into a warm, cozy place for the holiday season. 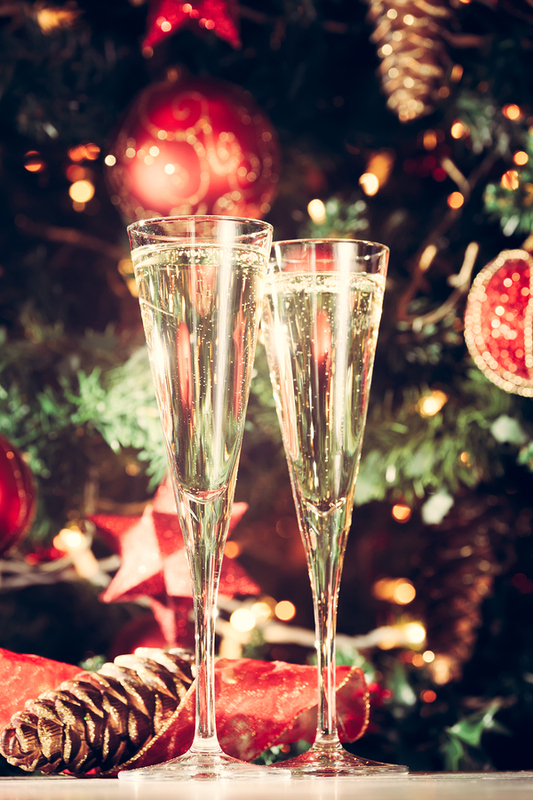 You may have a lot of these items around the house, so you don’t need a big budget to add holiday cheer to your home. Dig into your closets, be creative and just do whatever fits your holiday mood. Instantly make your home look and feel cozier with lots of blankets and pillows. Scatter them throughout your home, particularly in the living areas. Go with chunky, thick textures, such as velvets and knits. Plaid patterns have a winter appeal. For an added holiday atmosphere, make sure some of the blankets and pillows are in holiday colors. Now, invite your family and guests to feel free to enjoy them and wrap up and snuggle on those cool winter evenings. Candles add a warm atmosphere to a room, and you can use them throughout your home to add a splash of warmth and light to the room. They offer a classic look that will go with any style of décor.. And, you can find them in many great colors and even scents to complement your holiday décor and tastes. If your candles will be around food, keep them unscented, but feel free to choose seasonal fragrances for other candles scattered throughout your home. If you have an artificial Christmas tree, you may choose a pine (or try fir, juniper or spruce blends) scented candle to add a bit of outdoors. Cinnamon, nutmeg, or clove-scented candles add warmth, or choose berries or mistletoe holiday scents. Vanilla scent may remind your guests of Christmas cookies. Whatever you choose, have fun with it and even try different scents for different occasions. White candles look especially elegant during the winter. If you celebrate Hanukkah, position your menorah and candles at a window facing the entrance to your home so your guests will see it on arrival. For atmosphere in any room, arrange a group of candles of various heights on a large tray and display them on a coffee table or a dining table. You can add a small wreath or sprigs of pine to give it even more of a holiday look. For the holiday season, change up your wall art to add to the festive look in your home. Choose wall art with seasonal subjects and colors. Greens, reds, golds, and silvers are all great colors. The new wall art will look great with the rest of your holiday décor, and after the holidays you can store it away and use it again next year. While you’re switching up the wall art, consider updating those framed family pictures you have around your home to show off what your family has been doing throughout the past year. Update the family album and leave it out during the holidays for people to enjoy. Or, make a family photo wall that people look forward to seeing each year as it grows and changes. Of course, you can’t forget holiday lights when you’re decorating for the holidays. However, go beyond lights on the tree to really make your home look cozy. Use white lights around your home to add warmth. Wind a string of lights on tall standing lamps, add lights to a basket of firewood, or string them over the kitchen cabinets to add an elegant, warm touch to the room. The lights will look welcoming and cozy in the evenings when you turn down the rest of the lights in your home. It’s easy to make your entire home seem cozier with some simple touches of holiday sparkle throughout the house. Simple sparkly touches aren’t expensive. You can purchase a pretty glass bowl and then fill it with sparkling ornaments that go with your holiday color scheme. It makes a great centerpiece on your dining room table or it can look welcoming and beautiful on a living room coffee table. Tuck ornaments, glass dishes in holiday colors, and other sparkly holiday finds around the room to make every room pop with holiday cheer. Don’t forget the comforting, holiday music as you’re trying to make your home a calm, cozy place this holiday season. Make your own playlist of holiday favorites and play it as you relax and enjoy the season with your family and friends. Holiday music will get everyone in a happy, festive mood and provide a relaxing backdrop for those quieter moments, too. 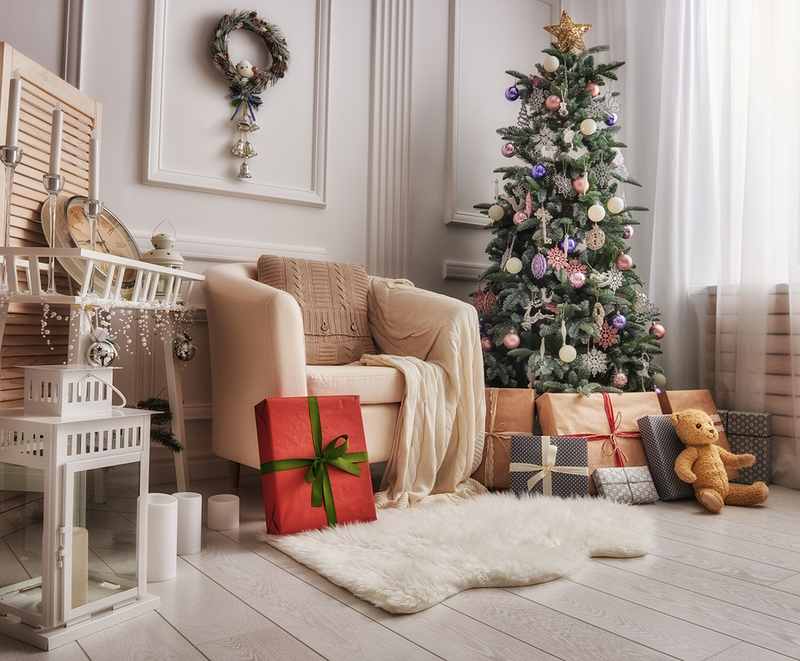 Whether you’re just moving into your home or you’ve been settled for years, it’s fun to take the time to make your home cozy and festive for the holidays. Use these ideas and come up with some of your own to fill your home and your heart with holiday cheer this year.